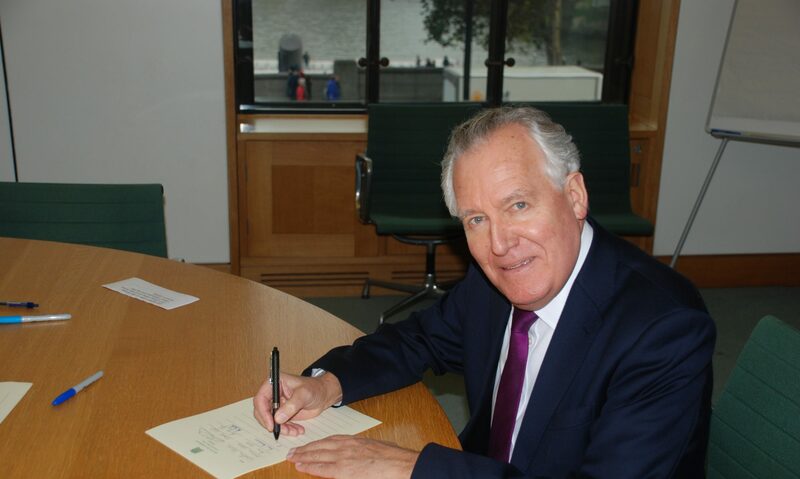 FORMER Welsh Secretary Peter Hain yesterday called on the UK Government to abandon plans to close Neath magistrates’ court, warning that its axing would be “seriously damaging impact on the quality of local justice for local people”. The Neath Labour MP challenged the Government’s economic case for closure and said some of its claims were “simply wrong”. Speaking in a Westminster Hall debate he secured, he said: “That suggestion was rejected, seemingly arbitrarily, which caused deep local anger. More than 1,800 signatures were collected in a matter of weeks on a petition that circulated in the town… The decision to merge has been driven purely by cost reduction, as part of an exercise across England and Wales in which 130 courts have been closed since 2010. In recent years, the Neath and Port Talbot area has lost two magistrates’ courts in Pontardawe and Port Talbot. “The loss of the third and final magistrates’ court in the county borough will leave nearly 140,000 people – a population bigger than that of Middlesbrough or Cambridge – without a magistrates’ court. Instead, the Swansea court will serve a population of 380,000 people. He went on: “The costs associated with the proposed merger of Neath and Swansea magistrates’ courts are far greater than those involved in the conversion of Neath and Port Talbot county court to a new Neath Port Talbot magistrates’ court. That new facility would have minimal additional operating costs, because the crown court is already fully functioning. “There would be no additional travel costs for magistrates’ or staff. The county court has free car parking, so there would be no additional car parking fees. There would be a net saving of operating facilities costs, estimated to be between £100,000 and £110,000 per annum, which includes utility costs, cleaning, waste disposal, security and maintenance, because those are already in place at the county court. He added: “Despite assurances to the contrary, I am concerned that the closure of Neath magistrates’ court will result in possible redundancies for staff who live locally and cannot commit to a longer commute… Local solicitors representing defendants in Neath will inevitably relocate to Swansea in order to be closer to Swansea magistrates’ court. Giving a case-study to support his case, he said: “There was a joint alleged assault, and the defendants were in a relationship. They received the letter reminding them of the new venue for their trial – Swansea – but the accused woman, a drug addict, had to get her methadone prescription from her chemist at 9 am, then try to get a bus to Swansea. “Receiving the methadone and taking it in the chemist, as addicts must in order to prevent them selling the methadone on the street to buy heroin, she missed the 9.15 am bus, but caught one at 9.45 am. “Her partner had given her the fare, leaving him with no money. He eventually found a friend and borrowed the fare. “Meanwhile, the court began hearing the case and, as the defendants were not present, there was considerable delay while options were considered. The woman then arrived, so the trial began again, and an arrest warrant was issued for the co-defendant. Just as it seemed that the trial was concluding, the man arrived. “The arrest warrant was cancelled and the trial concluded. One and a half hours of precious court time was totally wasted.